A trip to the beach. Nothing but the sun in your hair, sand in your toes, and a much needed dose of relaxation, right? A trip to the countryside. Nothing but quaint cottages and tranquil views. Maybe! That’s only if you discount the frantic packing and shopping and list-making that occurs the week before you go. And adding a little person into the equation guarantees at least triple the amount of planning, packing, and stuff to cart along with you. Honestly, the immense degree of forethought required when taking a holiday with little people may make it tempting to skip the salty waves and tranquil settings altogether. I am terrible when it comes to packing. As parents we all know that when you take a baby or a toddler away, there is so much you need to take with you including the kitchen sink. So, I have sat here and really thought about all the things that we will need to take away with us on our adventure and we need a lot! It use to be so simple, just packing for myself. 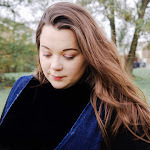 Gone are those days where I could just sling a couple of thing in a bag and go, now I have to think of both my husband (he forgets everything) and my little lady. With this in mind, I knew that I needed a bag that I could wear on my back to free up my arms when setting off on a long journey, so I can grab what I need easily. It can get really awkward when you have a handbag, changing bag and need to focus on keeping a toddler occupied too. I needed something more practical and this is where Cabin Zero bags are perfect. 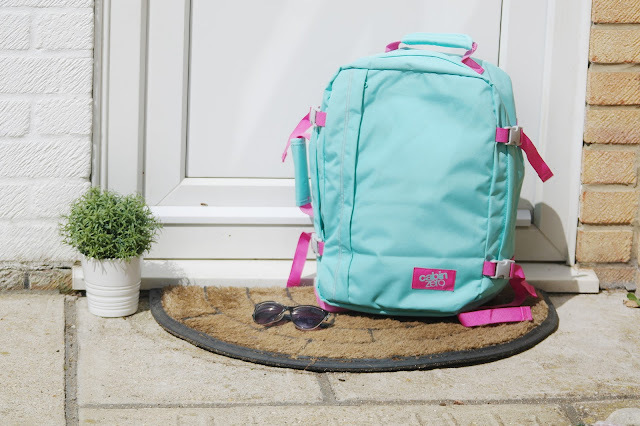 Cabin Zero are a British luggage brand that specializes in cabin sized, lightweight luggage for adventure seekers, they are also ethically conscious company keeping a close eye on their environmental impact. Yay! The name Cabin Zero is from ‘Cabin Sized – Zero Hassles’. The point is that this backpack never has to leave your side, meaning you don't have to wait in endless of queues checking in. You save money and you save so much time. No stress before an adventure. The high-quality ensures long life and durability, creating a bag you can depend upon. They come in a range of colours and sizes and all of them are designed to meet the specifications of most airline carriers, which is amazing! The bags feature a built-in lost and found system, lockable zippers and have huge capacity. Every bag comes with a 10 year warranty too. I went for a 36 litre classic ultra-light cabin bag in Lipe Blue, which measures 44 x 30 x 20 CM. I love that the blue shade was inspired by the sea at Ko Lipe beach in Thailand a destination that I hope we can explore as a family one day, I can hear the waves already! I really like the design and structure of the backpack. It’s a little boxier than typical backpacks, so it can fit more in without being squished. The front flap opens almost all the way so it’s easy to get things in and out without a struggle or if you're in a rush and need something to bribe a child in a meltdown. 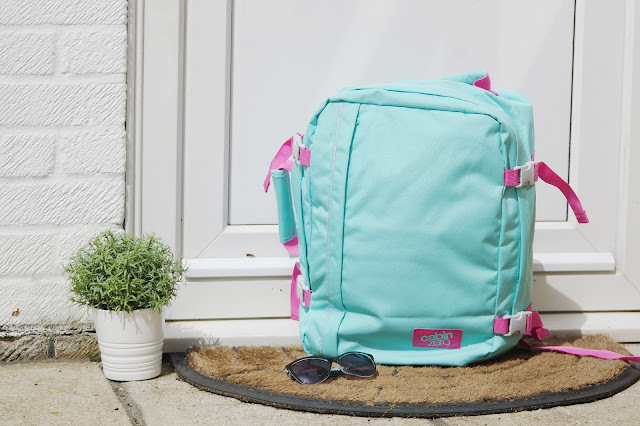 This bag is made with a thick waterproof polyester material that feels very durable, has thick-padded shoulder straps, a full lining to protect the inside, heavy-duty lockable zippers, and reinforced stitching. Pretty impressive, right? 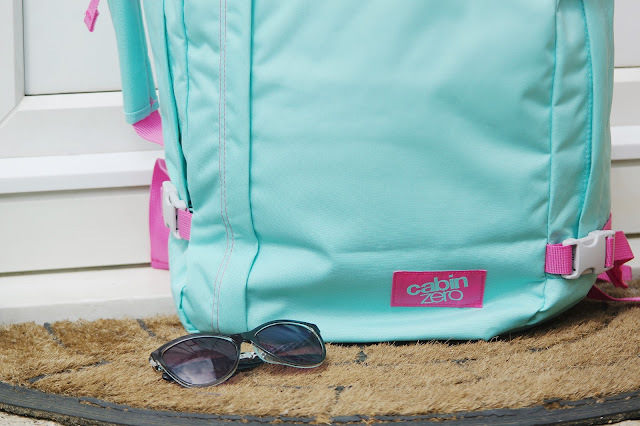 For me there are a couple of features that make these cabin zero bags the best choice for travels. There is a carry handle on the top and the side, which makes it easier to lift. The clips on the side offer more support and added security, and a distraction for a certain little lady. Inside there is a compartment that is handy for storing your laptop or a tablets and there is a zipped mesh pockets. But the best feature of all is that these bag has a Global Luggage Tracker, powered by Okoban. I wish all my backpacks, suitcases and handbags had this feature. When you receive your bag simply hop online and register your bag on the Okoban website. The tracker makes your bag so much easier to find should it walk off one day without you. 22 comments on "Exploring The Adventure with Cabin Zero"
Oh yes you should. My daughter actually picked the colour! Oh yes, you should! So a stylish way to travel! Honestly you should, don't forget to use my code if you do! It was the perfect time away! The bag looks amazing, I love that it's waterproof too, so handy¬! I think I saw one of your website and wanted one for myself or should I say for the little lady! Oh yes, this bag will also be great for the many picnics I am planning with her. Yes, that was one reason why I liked it! Me too beauty, so bright! This bag would be fab for days out. My daughter is nearly 13 but we still seem to have to take so much with us for a day out.